This post is part of Matador’s partnership with Canada, where journalists show how to explore Canada like a local. 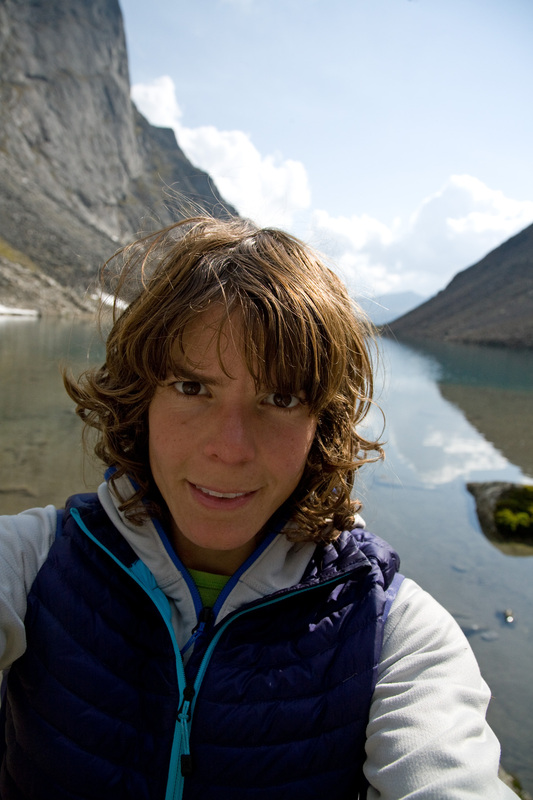 In this installment, Matador Ambassadors Katie Lambert and Ben Ditto hit the Yukon. THE “GREAT WHITE NORTH” is home to some of the largest areas of wilderness in the world, big mountains, thriving and inspired First Nations peoples, interesting local “produce,” and general friendliness. Amongst other things. 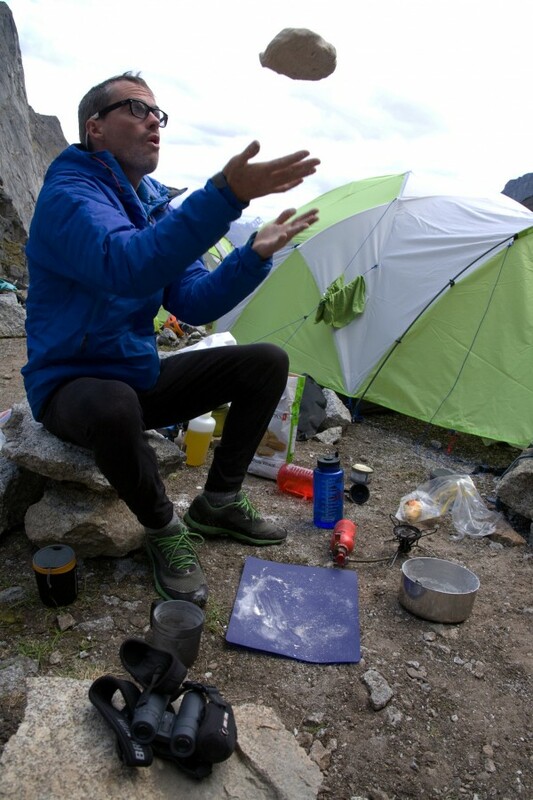 What brought us was a climbing expedition to the Cirque of the Unclimbables in Nahanni National Park Reserve, in the Northwest Territories. The trip included a few days post-mission to tour around the Whitehorse, YT area. We decided to go with no plan and see what we could stumble upon. 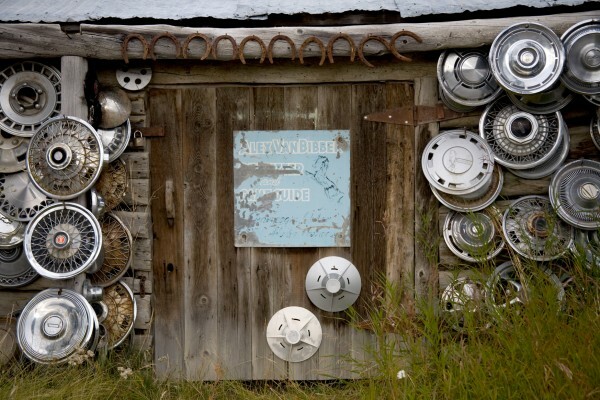 This is what we found, and what we suggest for those looking for a “Tour of the Obscure,” Yukon style. Important notes: The booze in Canada is way, way, way overpriced. It would do you good to include in your luggage the maximum amount of alcohol allowed. Otherwise it’ll be $18 six packs and $50+ bottles of whiskey. Once your liquor needs are met, you’ll be happy to know that the head shop offers products of a variety not on display in their cases. Take caution, as what you get may be a little stronger than what you’re accustomed to. With all your inebriant needs met, it’s time to head over to the Yukon Visitor Information Centre in Whitehorse. You’ll know you’ve found the joint by all the RVs in the lot. We’re rock climbers, and so somehow don’t consider ourselves tourists, but the Visitor Centre was helpful in supplying free maps and booklets on the flora and fauna of the Yukon. Thus armed, we were ready to set off on our explorations. 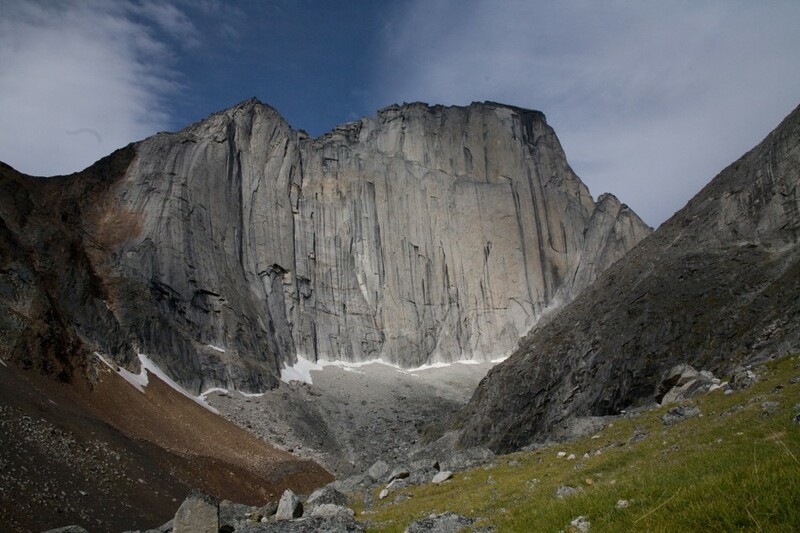 The Cirque of the Unclimbables in Nahanni National Park Reserve was our first destination. It’s out there and we were fortunate enough to have the funds to hire flight service. If you’re planning a trip to this remarkable area and don’t have the time or burl to make the 4-day hike in from Tungsten, I highly recommend Warren LaFave’s Kluane Airways. 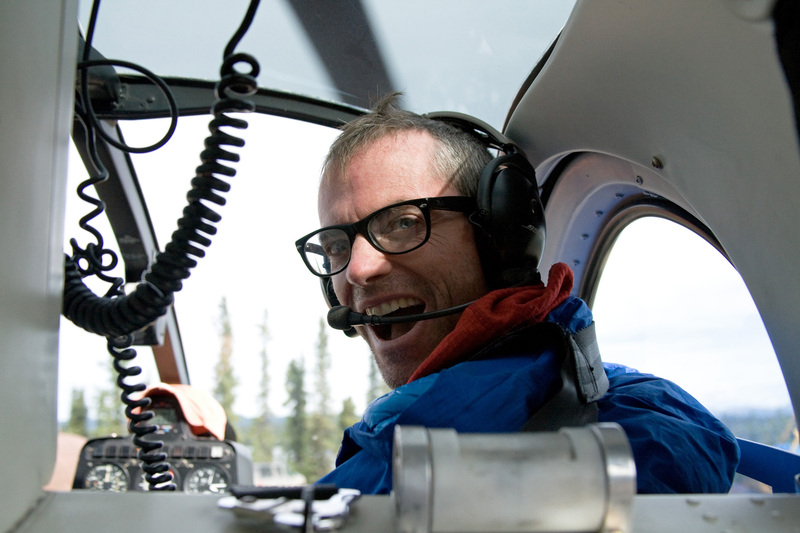 They’re the best air service into the Cirque, sporting a DHC-2 Beaver floatplane and a Hughes 500D helicopter. Kluane Airways bases out of Inconnu Lodge, 180 air miles east of Whitehorse and 120 north of Watson Lake. 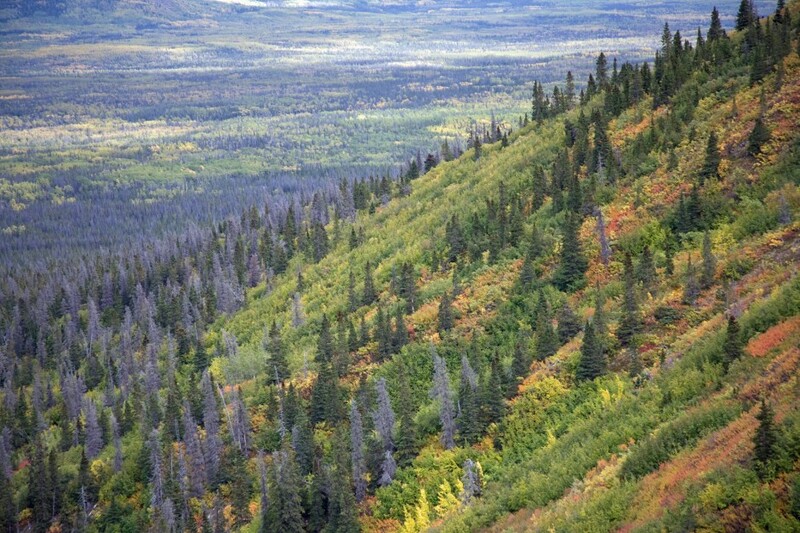 The lodge is a world-class fishing and recreational resort in the Yukon. They provide rental cabins, fishing guides, and heli-hikes, as well as a “for climbers only package,” which includes a stay at the lodge, food, laundry service, showers, and a bar! They flew us right to the base of Mt. Proboscis, where we stayed for 16 days before they came and transported us over to Ferry Meadows and Lotus Flower Tower. Important note: If you’re planning a trip to this area, you need to register with the Nahanni National Park Reserve. After spending 21 days in the alpine backcountry on the border of the Yukon and Northwest Territories, we arrived back in civilization and were hungry for some more stimulation. We took to the road heading west towards Haines Junction and Kluane National Park. In 1942, construction of the Alaska Highway began. This had a big impact on the area, with workers from the US Army Corps of Engineers settling in to build the road. With the influx of people came the need to establish settlements. In 1943, a second highway was built to connect the Alaska Highway with the town of Haines, Alaska. In these early years of highway construction, Haines Junction was built as a construction and suply center. However, First Nations people had been using this land as part of their trade route for thousands of years. Chilkoot Pass, ideally positioned to Haines Junction, was a prime avenue of travel for the Tlingit and Tutchone peoples as a way to get from the coast to the interior. We came upon this place as we made our way toward the Kluane. The yellow and red painted sign saying “long ago…peoples…place” caught our attention. When we pulled up, Harold Johnson was standing at the notched fence, his hat accentuating his deep brown eyes and caramel skin. He’d been waiting for a group from Habitat for Humanity to show up and was hoping we were them. We introduced ourselves and told him we were looking for places of cultural interest off the beaten path; he welcomed us and told us we’d come to the right place. Kwaday Dan Kenji was started by Harold and his wife Meta Williams on a portion of their traditional land. They have a strong connection to the place and ways of their people — he’s of the Crow clan and she the Wolf clan of the Tlingit. A small wooden cabin sits at the front of the property, a screened-in kitchen to its right, and behind this lie the structures and history of a traditional Yukon First Nations camp: summer houses, winter houses, a dead-fall trap, drying racks, smoke house, puberty hut, dog house, and a bone cache, all built by Harold and his wife under the instruction and advisement of their elders. It now functions as an interpretive center. Harold and his wife have become storytellers to both their people and to visitors from the outside, linking a past to what exists today. Hot tea and bannock are offered to all who arrive and take a guided tour to experience firsthand how Yukon First Nations peoples lived and survived for thousands of years. They also offer campsite rentals and traditional pole-house rentals. If you weren’t looking for it you wouldn’t see it. This small settlement is home to the Champagne and Aishihik First Nations, a location on one of their traditional trade routes going from the coast inland to Whitehorse. They’ve lived here for thousands of years hunting caribou and trapping salmon. In 1909, the first Euro-American trading post was put in alongside the natives. Things remained relatively quiet for the next 40 years, with the only development being a wagon road going in over the trade route. However, in 1949 the US Army Corps of Engineers arrived to work on that section of the highway. Their road would connect Haines Junction to Whitehorse — a journey that by foot and wagon had taken a week would now be a day’s drive. This both helped and hurt the native population. Jobs were created and all able-bodied young men either helped with the road or traveled into Whitehorse for work on the boats. Sickness came with the newcomers, and the native population was devastated by disease. The road completed, the US engineers packed up and moved on. With the local population heavily reduced by sickness, death, and jobs in Whitehorse, all that remained of Champagne were 10 families, who still live here today. Many of the old buildings from the work camp are still standing, mixed in with the inhabited houses — this settlement is part ghost town, part small neighborhood. It’s a historical sight not to be missed. A newly opened center showcasing First Nations heritage, culture, crafts, and history from the area. Its design and exhibits have been created with the help and input of the local people. Part of the center also serves as the interpretive center for Kluane National Park, and they offer a wonderful selection of maps and info on local art, local sights, where to go, and how to do it. The Kluane, along with Alaska’s Wrangell–St. Elias National Park, make up the world’s largest area of set-aside wilderness. 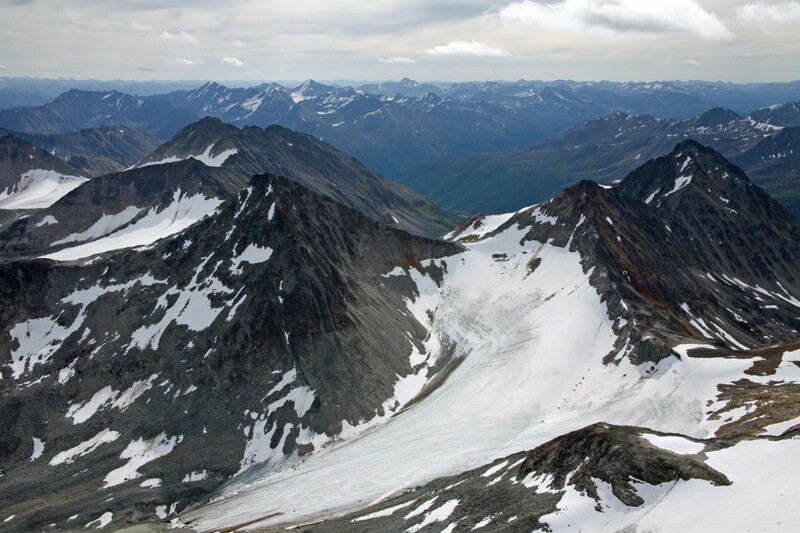 Kluane consists of 22,016 square kilometers and is home to Canada’s highest peak, Mount Logan. The landscape is largely covered by glaciers and mountains and has quite a thriving population of Dall sheep. There are also healthy bird populations of ptarmigan and eagle. The park is home to the Champagne and Aishihik First Nations, as well as the Kluane First Nations people. Traditionally they hunted and gathered here, but when the park was established in 1972 to protect it from mining and development, the First Nations peoples were told they could no longer use their ancestral lands. However, after much debate and effort, an agreement was made with the Canadian government to allow them to continue their traditional land use. The hiking in Kluane is some of the best around, offering views of the Dezadeash River and valley and the surrounding range and lakes. A 6-mile / 10km return hike up a steep trail to a small but handsome cirque which is the “seat” of the King’s Throne. The 6 miles take you through cottonwoods and aspens and then onto an exposed switchback trail. Signs of bear and caribou were everywhere, but we were too loud to catch sight of any animals. A 53-mile loop. This is the longest trail in Kluane, crossing two passes via old mining roads. We did part of it as a day hike, about 7 miles in and out, the day we did the Kings Throne. To hike it in its entirety, allow 5 days or so. 104-degree hot tubs provided just what the doctor ordered after all of our rock climbing and hiking…plus they had fresh cookies. The mineral waters of these tubs come from the depths of the earth, with an almost sweet, woodsy aroma. There are two pools — one larger and cooler and the other smaller and hotter. Flip-flops are required and can be rented if without. The change room has hot showers, too. We’d been driving around looking for a local climbing spot called Rock Gardens, but there was a highway where the crag should have been. We started trying all of our options for possible roads that might take us there. One of these dead-ended at a compost pile as big as our house. It had dark brown, almost black soil that looked so moist and so rich anything could’ve grown in it. We got out of the car and realized we were on the grounds of a multi-greenhouse growing business called Yukon Gardens. As we approached, we could see tables of tomato plants — bright red, plump tomatoes hung from the vines. We sought out the owner and were greeted by a man named Lauren — a tall, well-built guy of about 50 years. We introduced ourselves, and he humbly took us on a tour of Yukon’s largest garden center. We stepped into almost a dozen greenhouses with beds of summer squash, tomatoes, rows of sweet corn, and a plethora of other edibles and ornamentals. We passed by a man in worn-out denim moving around steaming heaps of dirt — he was in the process of “cooking” their soil and preparing it for next year’s season. 30 years ago Lauren built Yukon Gardens, and it’s remained a family-owned operation since. Most of their business is commercial, selling produce to local stores around Whitehorse. He talked a lot about the short growing season, keeping the greenhouses heated, and the local and organic food movement. I can’t say he’ll be willing to give any and everyone a tour of the place, but it’s a great look into a family-owned and operated food growing operation — something I think could inspire and inform all of us. The Kwanlin Dun Cultural Centre opened this past June 21st, the summer solstice. I imagine the longest day of the year in the Yukon to have even more significance to the local people than it does to us back home. The center isn’t only an interpretive center for the general public, but also a gathering place for the Kwanlin Dun people, and all peoples of the world. The building is situated on the banks of the Yukon River, their traditional grounds. For many centuries, the Kwanlin people used the river for fishing as well as for game. The banks would’ve been lined with fish camps, lookout points, hunting grounds, burial sites, and meeting places. Their entire way of life was centered on this terrain. The river also provided a great means for trade. In 1900, with the construction of the city of Whitehorse, the native people began to be displaced. The height of the Klondike Gold Rush displaced them even more. It soon became evident that the local people needed protection for their land and hunting grounds from the onset of a growing non-native population. What ensued was a series of debates, ignored propositions, and agreements until finally, in 1988, Kwanlin Dun First Nation moved to its present site west of the Alaska Highway, on land intended for a subdivision adjacent to a pipeline that was never constructed. After decades of negotiating, they signed the Final Agreement and Self-Governing Agreement, which became part of Canada’s constitution, and came into effect on April 1, 2005. On this day, Kwanlin Dun officially became the 10th self-governing Yukon First Nation. The cultural center provides a history of the people through photographs, stories, artifacts, and crafts. It houses a hand-carved canoe, and a totem-pole is currently being constructed. – High class and with its very own playhouse. – Organic teas and coffee in a low-key atmosphere. – This place makes REI look like a joke — all of our last-minute gear needs were met here, and if they didn’t have it their customer service rep found it for us. – A huge rental inventory of SUVs, minivans, and cars for your touring needs. – Awesome assortment of field guides, maps, and local publications. – Cheap, basic, huge rooms, excellent customer service. – The happening spot in town — amazing coffee and tea as well as mind-blowing, hunger-quenching pastries, salads, and sandwiches. – Good food, hip interior. – Some of the freshest, most delicate sushi around; their hot pot was pretty dank. – Modern rooms, comfortable beds, great shuttle service, and an eclectic mix of businessmen, hunters, fishermen, and climbers. Home of the Convention Center as well. – A diverse mix of Caribbean and French food; first-rate atmosphere and great service. – A rough-and-tumble classic neighborhood bar. – Craft brewery that services the north with quality beer while keeping jobs and money in the territory. They’ve eight brews, our favorite being Yukon Gold.